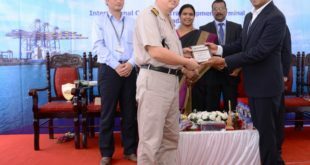 Krishnapatnam Port Company Limited (KPCL), country’s largest all-weather; deep water port, on the east-coast of India, in an industry first initiative, announced the installation of ‘Rapiscan Eagle P 60 (“Eagle P60”)’ a drive through X Ray Container Scanner & Radiation Portal Monitors. 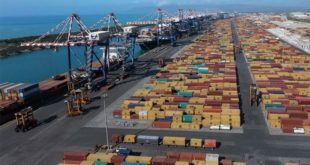 Besides increasing security and safety of the port, the container scanner will radically enhance the terminal’s overall performance whilst reducing the service time. Offering seamless movement of containers, the drive through container scanner at Krishnapatnam Port will enable it to increase the volume of handling import containers by at least 5000 TEUs per month. With this new development the port is expecting rise in transshipment cargo. Further, it will increase the frequency and connectivity of vessels, thus reducing the dwell time, transaction costs while ensuring timely delivery. Overall the new container scanner will give a boost to the volume of containers handled at Krishnapatnam Port. Krishnapatnam Port is the first & the only Seaport in India to procure and install the Drive through container scanner at its port. Rs.10-crore facility was inaugurated by Dr. John Joseph, Director General of Goods and Services Tax Intelligence, in the presence of GST Chief Commissioner Y.S. Shahrawat (Visakhapatnam zone), port Chief Executive Officer Anil Yendluri and others. Technology is a crucial driver of the shipping, logistics and trade industry. The newly introduced self-sealing of export containers by exporters themselves with RFID sealed and direct entry of these sealed containers will encourage more exporters. Whereas, the recent permissions for the import of metal scrap which requires setup of container scanner as well as import of apples, will boost container volumes through the port. 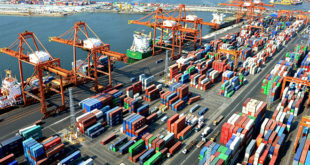 “We will continue to invest in cutting-edge technological innovations that not only bring immense benefits to the port operations and the trade community but also play a crucial role in contributing to the country’s economy.” he added. This will increase the speed of inspection; reduce the manual work at the terminal and enhance the efficiency of the entire logistic chain. The move will thus benefit Indian exporters who otherwise suffer losses when non-scanned containers are shipped back and will encourage increased transshipment activities. 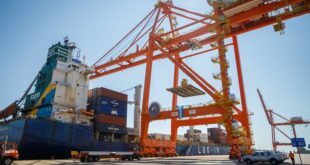 The port recently announced rise of record 88% in its container handling capacity and 25% in total cargo handling for FY18. 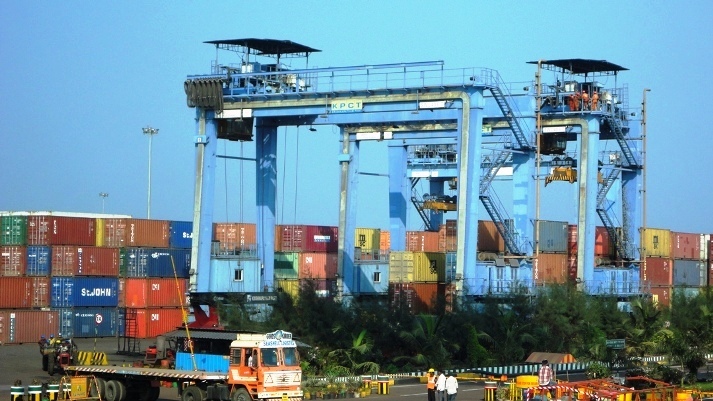 The port plans to become a key transhipment hub on the east coast of India.